American Defense Secretary Jim Mattis has accused Russia of trying to influence a planned vote in Macedonia. The vote could open a path for the country to join NATO. 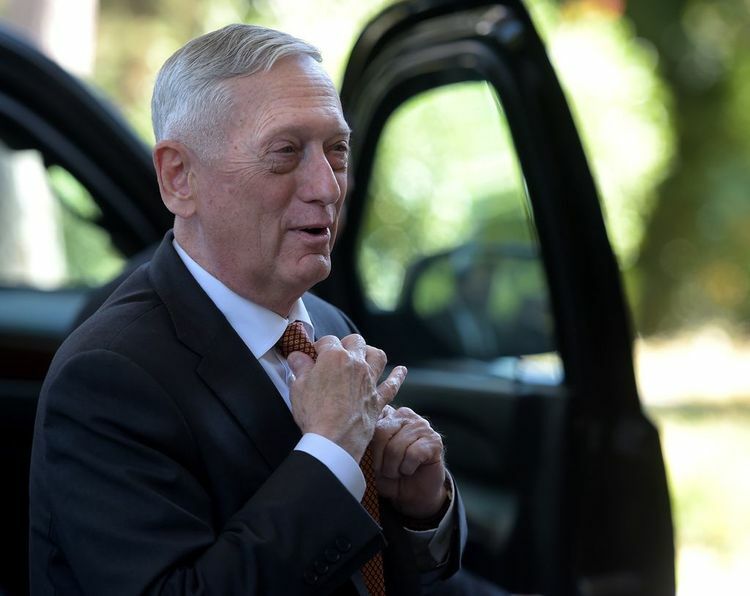 Mattis spoke to reporters traveling with him to Skopje, the Macedonian capital. He said he had "no doubt" that Moscow had given money to pro-Russian groups to defeat the vote about changing Macedonia's name. A name change would end a dispute with Greece, which has territory of the same name. Greece has repeatedly blocked Macedonia's request to join NATO. Macedonians will vote on September 30th to decide on the possible name change. In June, Greece and Macedonia agreed that Macedonia would change its name. In return Greece would end its objections to Macedonia's request to join NATO. Other Western leaders had accused Russia of interference in the issue earlier, including the Chancellor of Germany and the chief of NATO. In July, Greece expelled two Russian diplomats accused of giving money to groups against the name change. Russia objected to the expulsions as baseless. The dispute over the name began when Macedonia gained independence from Yugoslavia in 1991. Greece argued that the use of the name was an insult to Greek history. Officials also said sharing the name could lead to a Macedonian claim on the Greek territory named Macedonia. More than 100 United Nations member-countries recognize Macedonia officially as the Former Yugoslav Republic of Macedonia. The vote will ask Macedonians to decide if they want to join the EU and NATO by "accepting the agreement between the Republic of Macedonia and the Republic of Greece?" If the majority vote "yes" the country will be renamed the "Republic of North Macedonia." No doubt someone had pulled a fast one on her over a procedural matter. The name change came in December, and later that month he married his second wife. The book is there for people to read and make up their own mind. He just couldn't make up his mind either way. 6.The vote could open a path for the country to join NATO. The research open a new path for the utilization of tea residue. Nevertheless, he dauntlessly took action to open a great and eternal path of hope for all humankind.